Travel from Phuket to Koh Samui via two high-speed ferries plus VIP coach service. 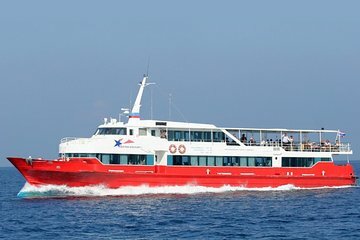 Ride the ferry to Krabi and transfer by coach to Don Sak Pier, then hop on another ferry to Bang Rak Pier on Koh Samui. With a number of stops including Surat Thani, the one-way journey takes about 7.5 hours. Make your own way to and from the ports, or upgrade for convenient hotel transport. We were taken to the wrong hotel and even after I tried explaining to the driver that this was the wrong hotel, he just left us there. Fortunately, the hotel staff were very good and arranged for us to be picked up and taken to the right hotel.